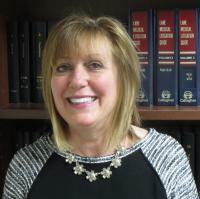 Catherine N. Gray | TORINO & BERNSTEIN P.C. Catherine Noto Gray is a native New Yorker who received her B.A. degree in Political Science from Ithaca College in 1975 and her J.D. degree from Brooklyn Law School in 1980. She was admitted to the New York State Bar in 1981 and is also admitted to practice before the United States Supreme Court, United States Court of Military Appeals, and the United States District Court, Eastern and Southern Districts. Ms. Gray had a career position with the Nassau County Attorneys Office, first being assigned as a prosecutor in the Nassau County Family Court. She moved from there to a litigation position in the Torts Division and then to the Medical Services Bureau which defended the former Nassau County Medical Center, then owned by the County, in medical malpractice actions, working her way up to Deputy Bureau Chief of that division. Following the sale of the Medical Center, she became Deputy Bureau Chief of the Torts Bureau in 2001and remained in that position until completion of her public service in 2010. During her tenure with the County she tried numerous cases to verdict and handled and supervised all aspects of pre-trial litigation and trial preparation including court appearances, depositions, motion practice, case management and settlement negotiations. Ms. Gray continued practicing in the private sector in 2010, first handling depositions and court appearances in personal injury actions, of counsel, to Torino & Bernstein, P.C. and then, in 2012, taking a position with Ken Maguire & Associates PLLC as a Senior Associate handling the defense of premises liability, labor law, property damage, personal injury and contract claims as well as representing insurance carriers in coverage disputes. In April, 2014, she returned to Torino & Bernstein, P.C. where she is continuing her insurance defense and coverage work. In addition, she is utilizing her municipal law experience in defending claims brought against the New York City Housing Authority in Kings County and Queens County. She resides in Rockville Centre, New York with her husband.